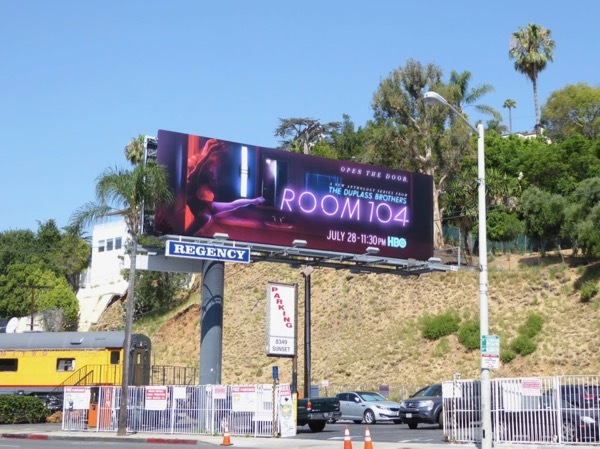 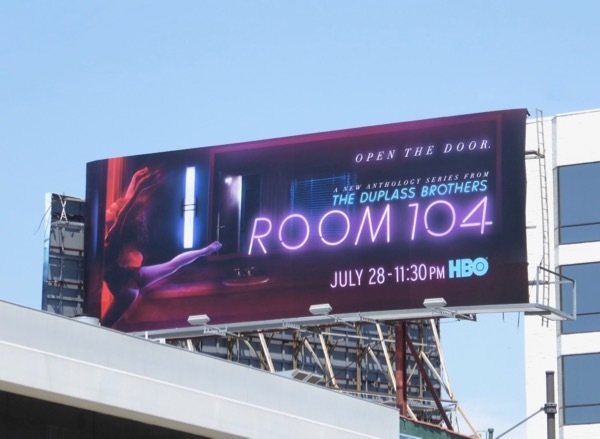 This summer will you be checking into Room 104, the new anthology series from The Duplass Brothers on HBO? 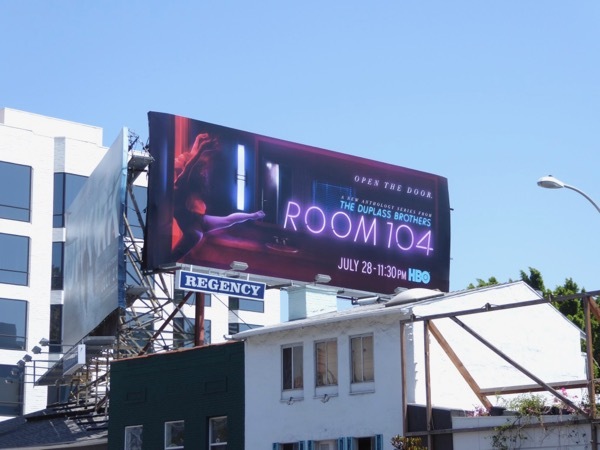 Telling a different tale every episode, the action takes place within a single room of an average American motel. 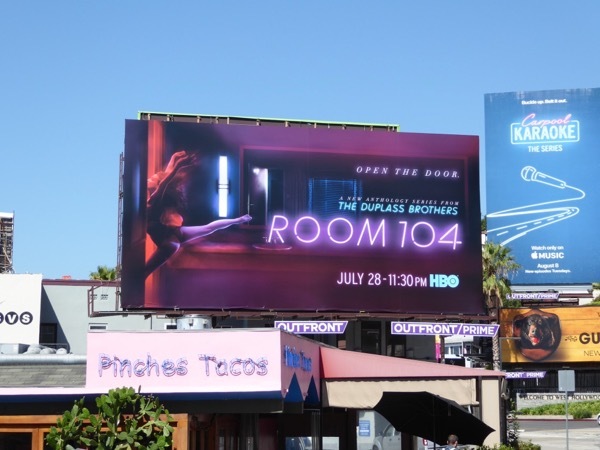 Returning more to indie filmmaking roots, the half-hour series will feature varying casts and directors, plus even the genre will change episode-to-episode, from crime to comedy and more, allowing viewers to dip in and try an episode without having to know any backstory. 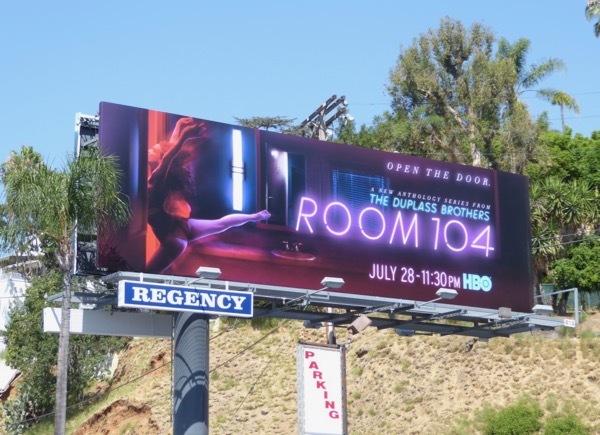 These surreal launch billboards were snapped along the Sunset Strip and above Sepulveda Boulevard from July 18 to July 26, 2017. 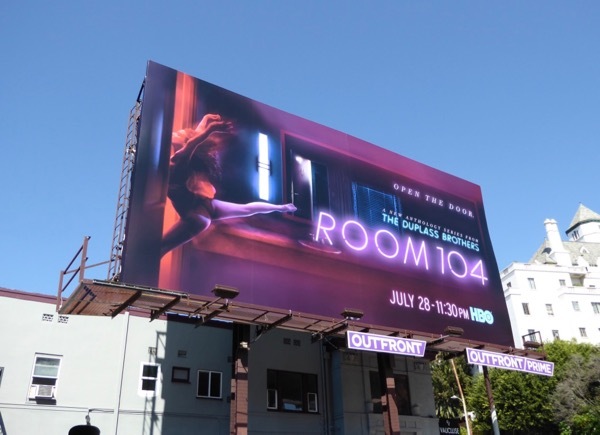 Neon is certainly in vogue when it comes to billboard design this summer, and if you don't believe us, just check out these Atomic Blonde movie billboards, these GLOW TV series billboards and this Stranger Things Emmy FYC billboard. 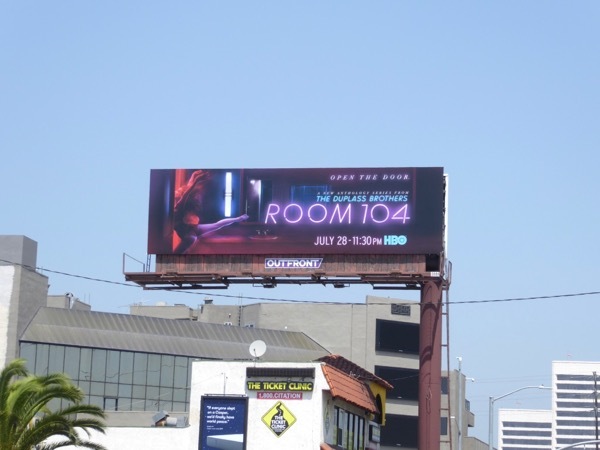 Not all hotel rooms are created equal, so only time will let whether you'll enjoy your stay at Room 104. 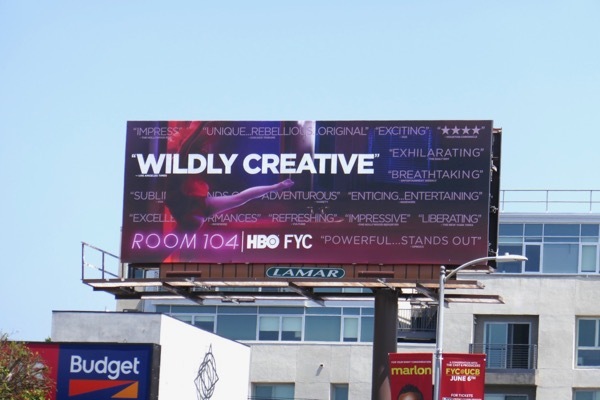 UPDATED: Here's also an Emmy consideration billboard for the 'Wildly creative' series spotted along Highland Avenue on June 8, 2018.